The Satellite view shows a “bird’s eye view” from your selected satellite. It displays the Earth from orbit, exactly as your satellite sees it! You can swipe the screen to center different parts of the view. You can pinch the screen to zoom in or out. 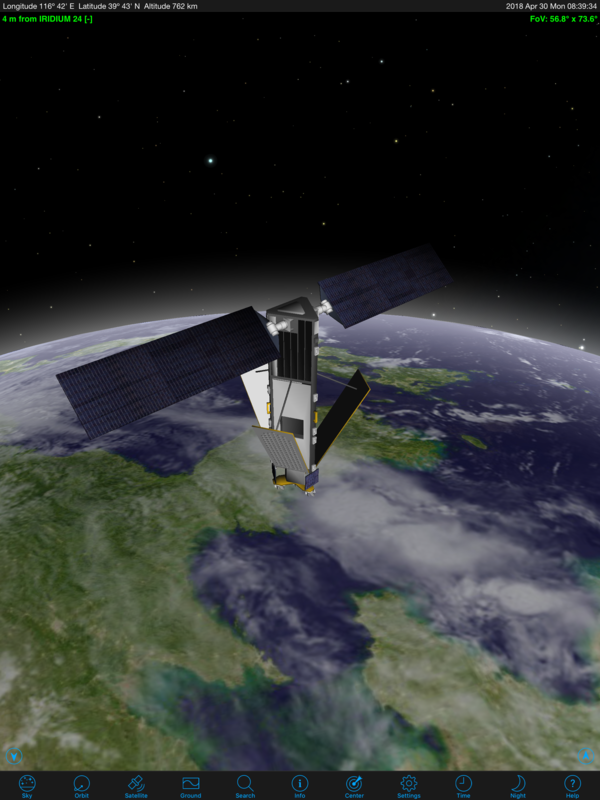 For many satellites, a 3D model of the satellite accurately shows the satellite itself. For other objects, a “generic” satellite model or rocket booster is shown instead.